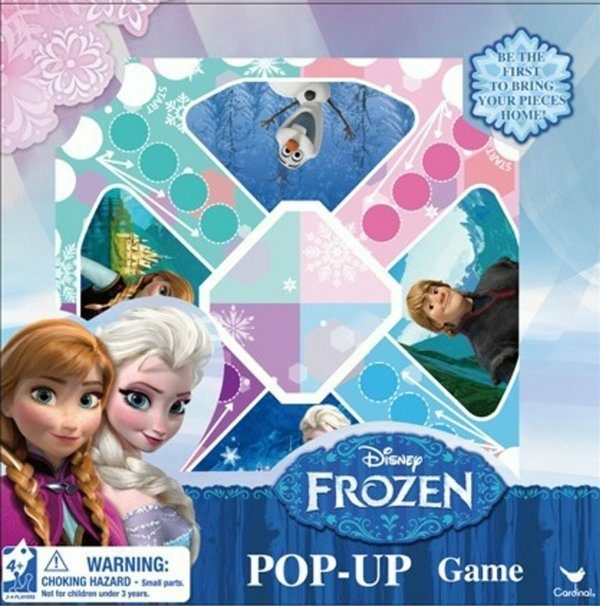 Frozen Pop Up Board Game Only $6.69 + FREE Prime Shipping! You are here: Home / Great Deals / Amazon Deals / Frozen Pop Up Board Game Only $6.69 + FREE Prime Shipping! Here’s a great game for all of you whose kids love the movie Frozen! Grab the Frozen Pop Up Board Game for just $6.69 + FREE shipping with Amazon Prime or Super Saver Shipping! My daughter got this Frozen-themed Trouble game for Christmas, and she LOVES it! We play it all the time! Your Favorite Frozen Characters are popping up all over the place! Pop the popper and be the first to bring your pieces home to win the game!